Twenty years ago when we moved the Interbay P-Patch, where I have a 400 sq. ft plot, to its current location, I divided my plot in half to create a cutting garden and a vegetable garden. In the middle, I erected a flag pole and decided it needed a rose at its base even though I had been apprehensive to add roses to my garden because of the perceived work required in the NW maritime environment. I planted 'Altissimo' because I thought it best to start with a red rose. By autumn of that year, I was sold on roses. The rose grew about 6 feet, had large deep red flowers that continued to bloom all summer, a moderate fragrance and large hips of a glowing orange suitable for fall bouquets. I didn't give much more thought to expanding my number of roses until after enjoying several winters in Tasmania where the array of roses abounded in the warmer, drier climate. I was hooked again and started adding roses to my cutting garden and turned their care into a work of love as I fertilized, pruned, watered, and pampered them. I'd like to share my observations about some of my favorite roses, which I currently enjoy both in the garden and in bouquets at home. Then, I'll offer some rose care tips and resources! This rose is now 20 years old, grows about 8 feet a year, and continues to provide multiple single red flowers for an extended time. The blooms last about a week as a cut rose. The base of my Altissimo is about 1.5 feet in diameter and starting to show signs of age, but the rose still produces about 8 to 10 new shoots every year and blooms well into October. 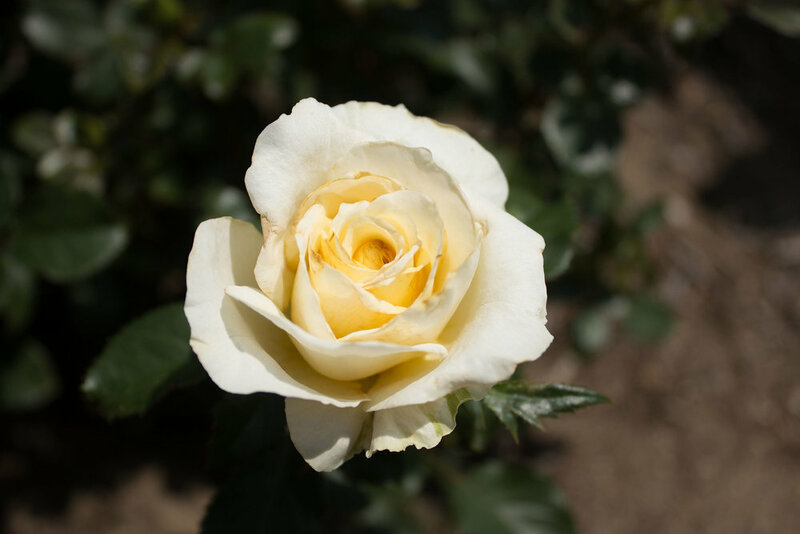 A hybrid tea rose bred by Danish rose growers, it is an acknowledgment of my Scandinavian background and of one of my favorite actresses. Like its name, this is an elegant rose with a sweet scent. Its deep red blossoms are a delight to any garden. Ingrid Bergman is substantial and is quite free of the infamous black spot. A profuse bloomer, White Licorice is very striking as it unfolds from a light chiffon yellow then fades to cream and eventually to white. It's somewhat subdued in the garden but its perfume will win you over. White Licorice has a short cut flower life. It likes to be heavily cared for with fungal protection. With dusty deep purple flowers, Ebb Tide is a wonderful contrast when planted next to White Licorice. Mine has a shorter growth pattern and blooms with abandon. The individual blossoms do not last long but the unusual color displays are appreciated in the garden. Another hybrid tea and one of the finest white roses I've ever seen. It is an immaculate white, pure in its form and I've had it budding into November! The buds and flowers are huge and long lasting. This is a rose you simply want to touch because of its purity. The first year after planting bare root, it absolutely amazed me by its growth and production of blossoms. Neptune's fragrance is profound, intense, and absolutely lovely. The blossoms are large and very long lasting as a cut flower, and the quiet lavender color with a hint of purple stands out in the garden. It grows to about 4 feet each year. I could go on and on about this incredible rose and hope you have the opportunity to savor its subtle beauty. This rose is like a sunset exploding before your eyes. It's a blend of pastel colors, favoring shades of apricot. It has medium-sized flowers and is very black-spot resistant. There's a hint of anise in the scent. The lovely colors become more pronounced as it goes from bud to blossom. These shades complement my palette of roses. A beautiful shell pink with elongated dark leaves, it is such a profuse budder that I do cut some buds off to display larger blossoms. This rose moves very rapidly from bud to full-out fragrant flowers. I'm not a pink enthusiast but this one has a hint of amber in its color and the honeysuckle-backed fragrance is very intoxicating. This year, Swansons' Early Spring Sale will find me taking home a beautiful yellow rose, Graham Thomas, to round out my color palette. My routine for planting and caring for roses starts in the springtime when I purchase my bare root roses at Swansons to add to my collection. In early spring, I plant my bare root rose by adding planting compost to the hole and make sure it is well watered to ensure root growth. I only use a small amount of planting compost and work it in with the soil to avoid burning the exposed roots to give them a chance to settle into their new environment. I also spray the newly planted rose with either neem oil or horticultural oil which prevents fungal black spot. 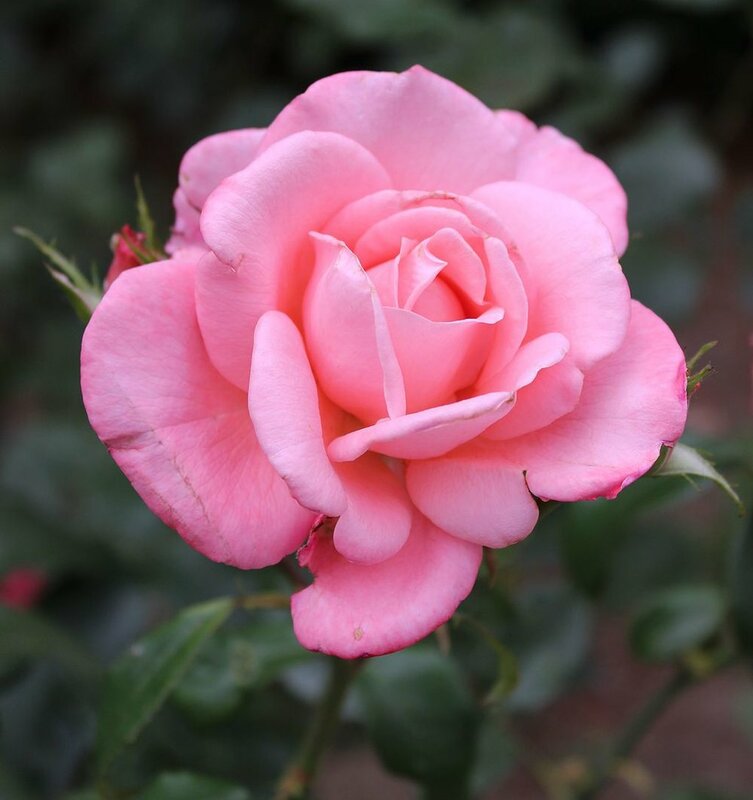 I never overhead water my roses and in April, I fertilize my roses with a combination of organic rose fertilizer, Epsom Salts and alfalfa meal. This is the best combo fertilizer I've enjoyed using. I will repeat this in July and again in September. Every time I visit my garden, I always give the roses a check not only to enjoy their scent but to look for bugs and fungus. If I see aphids, I drown them with water and make sure I check again in a couple of weeks to see if there are additional aphids from eggs that have hatched. If I see black spot, I remove the leaves and destroy them and spray again with horticultural oil before the buds form. During the summer months, I continue to be mindful of fungus and make sure all damaged leaves are raked up so the spores will not get into the soil to repeat the cycle. I stop fertilizing in September after enjoying the summer bouquets. I have had roses continue to bloom into late November! In November I give my roses some light pruning to shape the plant and spray again with oil as fungus can't materialize in an oil base. After a deep freeze, usually in January, I severely prune my roses, except for the climbers, to about 12 to 15 inches, with a slanted cut to not allow water to sit on the cut to prevent stem rot. I spray again with oil as a preventative measure to keep fungus away. Now it's rest time for me and my roses, and I await starting the "watch, fertilize, and groom" routine again in the early spring. So goes a labor of love.